Vendor-supported accessories or accessories with confirmed fits for the Zero platform are listed below. 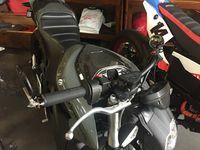 Unofficial or owner-discovered fits for the Zero are covered as Common Modifications or Advanced Modifications, depending on the need for customization or fabrication. Procedures for installing official accessories are covered as Common Modifications as well. Zero motorcycles launched an accessories store in mid-2013. Items are only available through dealers. Products occasionally appear and disappear without notice. Covers windscreens, handguards, and tank grips. Formerly (circa 2013) included heated grips and a heated seat option. Covers charging, the power tank, the power pack, and 12V accessories. Covers gearing ratio options, the chain kit, FX shock, and the 2013 rear brake upgrade/fix. Covers crash/drop bars, windscreens, the rain guard, and Pro Taper offroad footpegs. Covers the brake lever parking hold and the belt tension gauge. Formerly included a garage work mat and other items. Riding Gear (includes touchscreen-compatible gloves) and branded casual wear also have sections for fans. Hollywood Electrics has been a significant supporter of the Zero market for several years, and has supported aftermarket charging and racing customizations. Hollywood Electrics' Custom Zero designs, available for quotes. Twisted Throttle has some Zero-specific and Zero-fit-suitable product listings. Otherwise, they list waterproof DrySpec soft bags and tires that fit. AF1 Racing is an Austin, TX, USA Zero dealer that publishes some Zero-specific pages listing OEM parts and accessories. Their AF1 Zero Accessories Listing features R&G Racing's products as well as side racks and matching side cases from the Givi and SW-Motech fittings. The output voltage must be the same to avoid re-engineering the systems, so additional capacity must be added in parallel, not series. The cell technology should be a good match to have reasonably good load-sharing between batteries in parallel. The batteries should be harnessed in tandem without much dynamic reconnection, so a "battery trailer" right now is just a concept for recharge buffering. Judging from the OEM offerings, the BMS software is essential for getting good cooperative behavior with the bike's MBB. This means that battery modules should have as close a match of hardware signaling connections, and BMS hardware and software revisions, to get the best result and avoid technical issues or damage. The Power Pack module is Zero's solution for modular battery power, available for the X platform bikes. It packages a single brick with a BMS and a power connector with a smaller contactor. As of 2017, the X platform includes a non-removable long brick module in the default configuration. It is unclear whether a long brick module will be separately available except by special order. 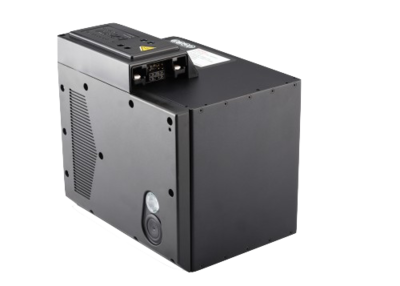 The removable power pack module option is available by request with some additional cost. 30Ah(?) Farasis cells in 28s1p configuration with a BMS. New case shape, slightly extended! Different part number per year. Discontinued; special order for 2013 models? 28Ah Farasis cells in 28s1p configuration with a BMS. Same part number for 2014-2016, new part number for 2017. 25Ah Farasis cells in 28s1p configuration with a BMS. Cell balancing seems less effective than the main power pack. The Zero's Power Tank is the only available battery upgrade for the S platform that is officially supported or has a straightforward path to install. It's equivalent to a single Power Pack module for a Zero FX/FXS. A "3-brick" or "longbrick" S or DS model can accept the Power Tank as an upgrade. It has its own internal BMS which requires a significant amount of behavioral parity and configuration matching with the bike's Power Pack. Officially, the BMS firmware versions must be exactly matched, but this is not confirmed. The MBB is wired and configured to talk to two BMSs total, #0 for the Power Pack and #1 for the Power Tank. This corresponds to handling two BMSs for each X platform module. Power Tank logs and settings will be accessible as BMS #1. Check and match firmware revisions between the Power Tank, Power Pack, and MBB. Connect the systems safely so that there isn't a major current inrush that damages the bike or the Power Tank. The Power Tank and Power Pack products are revised per generation of Cells. The Power Tank adds 25% capacity to the main pack. 2.8kWh (discontinued) original version released 2014. 3.6kWh, released 2018, listed for 2014+ models. Only one Power Tank may be installed per vehicle. The S Platform tank area is the only reasonable place to mount a Power Tank, because of its incredible density. The MBB is configured to coordinate and communicate with two BMS units. The Main Pack has one BMS on the S Platform, and the X Platform is set up to carry one or two Power Pack units, each with a BMS, unless using a Long Brick (2017+). It is not set up for disconnect without dealership involvement. It fits in the tank area for 2014+ Zero models of S/DS/SR/DSR under the tank plastics. 2014+ frame features are required for the approved mount. A carrier tray in the tank area suspends the Power Tank almost a centimeter total (3mm gap clearance) above the main Power Pack battery. Holes in the frame on the forward inner sides of the tank area anchor the Power Tank. These holes typically are covered by cable runs, and can be found by moving them aside. J-bolts hook into these holes and retain a corner bracket around the top rear edge of the Power Tank. Cell balancing seems less effective than and separate from the main power pack per cell balance with powertank?. Early installations (2014) of the Power Tank had issues where the Power Tank's capacity would not count towards the bike's capacity, or the bike might shut down. General consensus appears to be that charging a bike with the Power Tank (prior to some BMS firmware revision) could cause a self-protective disconnection due to imbalances between the Power Tank and the main Power Pack. While this shouldn't happen with 2015+ Power Tanks, they can still have issues during or after installation if the Power Tank's charge state is not matched / balanced with the main Power Pack. Basically, one or other contactor might not shut, resulting in reduced power capacity. If for any reason something like this occurs, plug the bike in and wait for pack voltage and power tank voltages to match. The bike should operate normally at that point. A cable harness attaches to the Power Tank's rear-facing output port. The harness hooks into the bike's main systems to communicate with the MBB, and also runs to the B+ and B- terminals on the controller to deliver power to the motor. Pre-2014 models also have an incompatible interconnect harness, much like their accessory charging circuit is lower capacity. A 2013 model with the battery recall applied might support the connection harness, but the MBB will likely not interface with it. 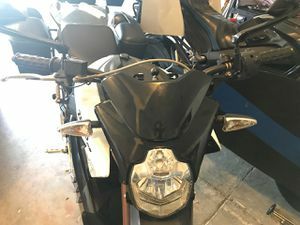 Warning: Only connect or disconnect this cable while the main contactor is open and the motorcycle is fully de-energized. Connecting a Power Tank with any circuits powered could damage or disable the vehicle entirely. Wait a full 10 minutes to be absolutely sure that components have discharged fully, but 2 minutes is typically safe. Confirm this with a DC voltmeter. The Power Tank has its own BMS and contactor and coordinates with other bike systems via the MBB. The contactor limits are presumably the same as for the main Power Pack contactor limits, except that the current/power input limit would be ¼ of the Power Pack. The Ah rating of the Power Tank should be displayed on it just to understand what the current basis for 1C is. See the Chargers page for a full accounting of charging options. See OEM Touring Screen Install for installing any of Zero's current windscreens. Recent addition with a spoiler and more design for aerodynamic comfort. Provides efficiency gains of 10-15% particularly when crouched. Relatively modest with more angular styling. 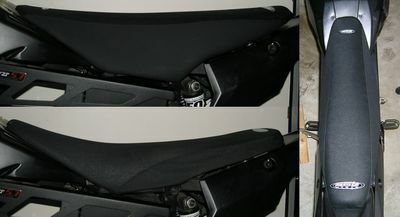 They make an adjustable fitment for 2013+ Zero S/DS/SR/DSR bikes with tint and height (18-24") options with a recommendation table for rider height! They have a particular design philosophy around windscreens that works rather well for good airflow and low drag. Makes the mounts and windscreens that Zero brands for its bikes. They have other options that provide some choices. Makes windscreens and mounts for sportbikes, naked bikes, and cruisers. Makes windscreens designed for maximum efficiency, claims +15mpg difference at highway speeds for a number of motorcycle models. Discussion thread proving and itemizing a BMW fitting by user:BrianTRice. Efficiency gains are 15-20% except in severe headwinds. Slipstreamer S-05 Turbo Zero SR install confirmation, with a successful aerodynamic and comfort improvement. (forum reference). Slipstreamer SS-10 Viper install confirmation. This is apparently a family of windscreens (sport-touring and cruiser style) with handlebar mounts. They are cheap ($55) but not of great quality. Zero has a parts catalogue for dealers for the police (SP/DSP/FXP) models - the crash guards and crossbar, and the upper left and right brackets, but they don't sell the hardware (screws and bolts). The manual entry for the Frame attachment points is sufficient now to source the hardware easily. This product is a "retail civilian version" of the Drop Bar Kit that is complete, and includes a new skid plate because the S/SR skid plate is not designed with the drop bars in mind (lighter weight, probably plastic, with no pre-drilled holes for mounting). The civilian version does not include brackets for mounting extra hardware, however, but it is apparently cheaper. The pre-2015 frame does not support the drop bars' intended shoulder attachment points. A 2013-indicated protection kit has been spotted in Zero's catalogues, but it likely requires machining to install and could weaken the 2013 frame if not installed professionally. The FX and FXS models support lighter, smaller drop bars, again derived from fleet/police customer needs. Drop bars for FX now come with hardware, but might not be complete. It appears they might assume you have the frame mounting screws. Zero seems reluctant to commit to an OEM fairing design, for probably mostly business, branding, and budget reasons. However, a well designed conventional front fairing should increase range at highway speeds by 30%. A front fairing with a carefully crafted rear tail could do more, up to 50% (oversimplifying how this works here). Hollywood Electrics has created a custom sport-touring fairing adapted from their racing bikes. Sets the headlamp forward by 4". Sets the dash / instrument cluster forward by 4". Bracketing organizes 12V wiring behind the headlamp. Fairing protects the dash / instrument cluster from weathering. Installs setback risers to help the handlebars clear the fairing. Allows using flush or non-stock turn signals on the fairing chin. Allows using fairing-mounted mirrors on the upper edge of the fairing around the windscreen. Uses Zero Gravity windscreens for the Yamaha YZF R1, years 2015-2018. The windscreen being set forward by 4" makes it more effective than bar-mounted windscreens. Airflow is managed very well, only a soft updraft occurs from the underside. No turbulance induced on the upper edge with any tested windscreen. At least 10% range improvement over stock; possibly 15% depending on rider and tuning. Creates a larger space for tucking while riding, minimizing the effects of a rough headwind. Price is $1295, or $1495 with a paint scheme matching the 2018 SR model. 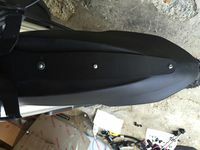 Fitting a Hollywood Electrics Fairing by Justin Andrews shows an installation! See the Zero customizers page for some faired Zero offerings by Hollywood Electrics and others. 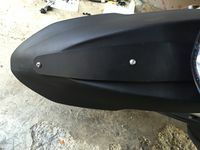 The Power Tank and Charge Tank have tank plastic options which can be bought separately or selected for color customization. Both use a relatively flat surface for the centerpiece, and the Charge Tank has a J1772-sized inlet hold with built in waterproof cover with a spring-loaded hinge. As of 2017, the Charge Tank centerpiece is separately available as part number 24-08137 for $40, to turn your existing tank plastics into a J1772-inlet-using tank. 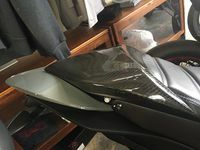 Carbon Fiber Front Fender for S, SR, and FXS models. 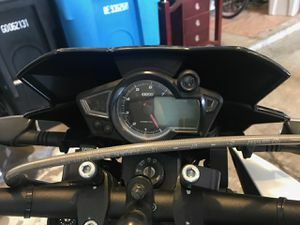 This provides 2013 Zero models with a small but reasonably good-looking hard plastic shroud around the Koso instrument cluster. Presumably this has a marginal effect on drag and energy consumption, but it probably helps smooth airflow with or without a windscreen. 2014+ S models have a plastic enclosure for the headlamp that interferes with this. Remove the upper mounting screws for the headlight. Place the included bolts through the holes in the side of the flyscreen. Place the spacers onto the bolts on the inside of the flyscreen. Carefully place the flyscreen over the headlamp, matching the bolt position to the upper headlight mounting holes. The bolts must be withdrawn slightly to surround the headlight mount points. Engage the flyscreen mounting bolts to hold the flyscreen onto the headlight. Cut the rubber bumper's two side spacers off. Place the bumper against the top of the Koso gauge instrument cluster. Remove the tape along the top and press the flyscreen to it. Tighten the flyscreen mounting bolts. Tank grip pads are very useful for maintaining a crouched position comfortably and getting better control over the balance of the motorcycle. TechSpec makes many different shapes in a soft material. Some generic shapes are suitable for customizing (1200GS pads fit the DS tank with a little adjustment) with the right cutting tools. 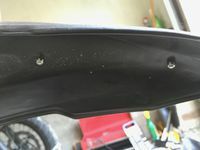 This is a modest and inexpensive mudguard that mounts to the underside of the license plate tail extension. The Install page walks through installing it; pretty straightforward. NOTE: This has been observed to fail when encountering any non-trivial debris, and could very dangerously dig into the rear tire. This mounts to the axle on the right side and adjustably extends over the rear upper quarter of the rear tire. It extends far enough to easily clear the DS tires. 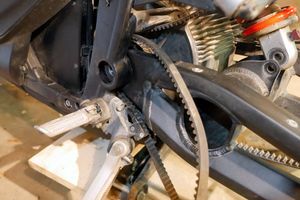 The bracket fits under the axle nut without compromising its fastening, although it does not snuggly conform to the axle diameter. The S/SR front fender bolts directly onto the FXS lower forks, for those interested. 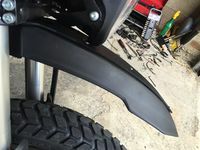 A low front fender for the DS/DSR 19" wheel is yet to be determined; it will likely require a cheap custom bracket to secure an existing fender. The DS/DSR/FXS models have a dual sport fender which does flex a bit at speed. Some research indicates that the bolt pattern mounting the fender matches the Honda XR650L, allowing third-party fenders to replace it. JSN Engineering also offers an auxilliary LED mount that uses the same attachment point. The pattern is 4 holes in a rectangular shape 58mm (2.3in) wide and 50mm (1.95in) front to back (center to center). The bolts are M5x15mm button head socket screw for a 3mm Allen key. 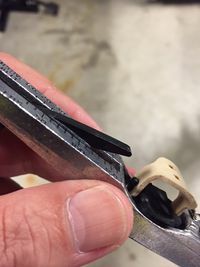 Remove the fender with a 3mm Allen key. Install the fender brace above the fender and replace the fender. Flex the fender to match the fender brace while keeping the mounting bolts in the fender to hold the brace the way it will be installed. Mark the fender where the holes for bracing align with the fender plastic. Remove the fender and drill holes matching the marks. Double check how the alignment should happen since flexing will cause it to differ. Replace the fender with the brace above it, and then fasten the fender to the brace. the S fork bracket has the same hole pattern as the DS, allowing it to mount hardware there. A streamlined electric motorcycle could be extremely efficient and practical. Terry Hershner and Craig Vetter's Zero Streamliner proved that efficiency was possible by setting several records. This was done at a cost of altering the frame, considered impractical by many. Vetter has shown that his full teardrop reduces highway speed energy use by 50%. It is optimized for 70 MPH with a 30 MPH headwind. Reducing drag by mounting fairings that reduce the overall wetted surface of the vehicle and distributing pressure over the surface of that body. See Wikipedia's Streamliner article for some history. See Kammback describing the efficiency of a truncated teardrop, which is more stable in crosswinds. Loss of efficiency at speed is very high for a motorcycle and rider. Recharge rates for electric motorcycles will be roughly proportional to discharge rates at highway speeds for the near-term future. So, minimizing drag changes the ratio of time spent riding to charging, which makes a Zero more suitable for travel. Craig Vetter has been working on eco travel options for motorcycles for decades. He recently got enthusiastic about electric motorcycle focus and helped Terry Hershner perform his streamlined cross-country trips, and has had a more conventional variant in the works for a couple of years. However, a recent riding accident has slowed or halted this progress. 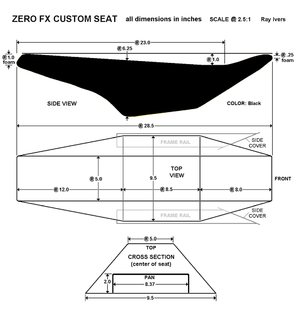 Streamlining a Zero SR shows SR mockups with a proposed conventional-oriented design. more modifications shows some insight into how it's constructed. The Vetter streamliner kit is available for sale for $2000 plus taxes and shipping. The forward nosecone in upper and lower halves. A "turret" piece made to rotate with the steering column. A "seatback" piece meant to smoothly re-attach turbulent air behind the rider's body onto the tail. They require a significant amount of fabrication, planning, and work to mount. All existing fitments are bespoke and unfit for even boutique level of adoption without major manufacturing commitment (a custom vehicle from the ground up). A full 2013+ fitment for an S Platform Zero has not been proven, and would require significant discovery and iteration, or a drastic change in design priorities. Terry's streamliner Zero is a 2012 fitment that involved massive destructive modifications to the frame, and is essentially a retired experimental vehicle. The nosecone or front fairing would reasonably mount to an extension of the OEM crash bars along that plane in a forward diagonal arc. The seatback assumes destructive removal of the entire tail of the vehicle, completely repositioning the seat and controller to serve the purpose of the vision (minimizing frontal area). Since this operation would destroy the resale value of the vehicle and require significant shop expertise to carry out effectively, they are unsuitable for a kit. These are smaller than the Vetter nosecone but lightweight and effective. The DBL1 seems most effective, and the DBL2 has been tried with some success. The parabolic or egg-shell shape is stronger and more aerodynamic. No cutouts are provided for the wheel or headlamp. The side profile is somewhat wider but the fairing admits some flex to change its aspect ratio. Wider, allowing more clearance around the 19" DS wheel and tire. Includes a basic cutout for the wheel, and a broad cutout for the headlamp. Side nacelles allow some air cooling to pass within the fairing. Low height limits its benefit to airflow without additional fabrication to close up the area around and behind the steering head. Square frontal profile reduces lean angle significantly without bringing the fairing too high for drag reduction. Vertical sidewalls are not as rigid, requiring reinforcement. The Gilera is small and even lower than the DBL2, so not useful. The NSU and Agusta fairings are narrow but may prove useful for a bike with a sport-sized (17") front wheel. These are good conventional fairings with a streamlining design. Wheel covers will still be quite helpful. All of these dump air straight onto a radiator area, but on a Zero this dumps air straight onto the front battery face, so they are somewhat compromised. These help for most of these fairings where pushing the headlamp forward from the steering column is required. Land Speed Record Fairings are for a GSX1300R Hyabusa, but probably can be fit to a Zero (TBD). 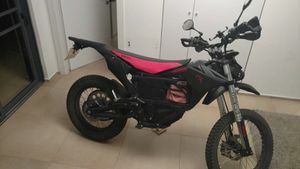 Obviously, a stock Zero comes with a tank bag if it doesn't have a Charge Tank or Power Tank installed, but if it does, there's a utility storage gap in front of the rider. The tank isn't made of metal. 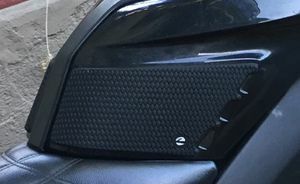 Magnetic tank bags might find a Power Tank or Charge Tank underneath it quite attractive, but it's unclear whether the magnets cause a problem for them in the long run. The tank is relatively small. Most mid-sized tank bags will seem very large on it. There's no gas cap to clip onto. Maybe a J1772 inlet would provide an anchor, but don't compromise its waterproofing. Running straps around the tank plastics requires a bit of finesse. There's room above the battery to run straps but you might want to remove the tank plastics a bit to get the straps in there. That said, people have fit backpacks, rucksacks, and tank bags onto their Zeros, but it's all been ad hoc so far. Just under the front of the seat. In short, most soft bags can be adapted to a Zero if they are roughly fit for its size. IKEA Briefcase happens to be reasonably weatherproof and mountable by its straps. And very affordable. There are some hybrid hard/soft bags that are worth a look. HandMade Fixation for SHAD E-48 Saddle Bags shows how to use common hardware to mount these to the seat pan, very clever and seems sturdy. Zero offers the only supported top rack solution for 2013+ S platform and X platform models. The only alternative top rack that works with a Zero is the Givi Wingrack universal-fit series, which won't support OEM or other side racks that fit the Zero. Top Box Rack Kit for the S platform, without a case. Top Box Rack Kit for the X platform, without a case. The Givi E251 Monokey universal mounting plate adapts most large Givi cases to the OEM top rack. Monolock universal mounting plate adapts smaller, more scooter-oriented Givi cases to the OEM top rack. All Givi top plate options, most not confirmed to fit. 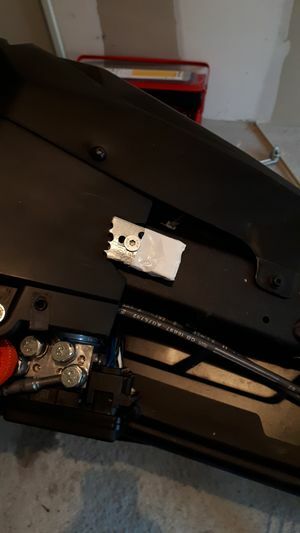 Other manufacturers' top plates should fit if they're meant for a Givi bolt pattern. Difficulty: Trivial (15 minute job). The rack is only fastened via the two M5 bolts into the top of the frame under the seat. Downside: The strain on those bolts can accumulate if the rack has any freedom of motion. 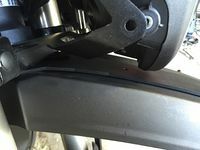 Upside: This connection makes the top rack a cheap sacrificial point if the bike goes down in a certain way, particularly with the police models' use of a rear rack bar. Recommendation: When removing the seat bolts, remove any load from the top rack (and side racks) to avoid straining these bolts and possibly breaking them. Don't add load to the racks without the seat bolts inserted. The top rack plate is smaller than a Givi Monokey or other larger vendor's case surface. Crafting an aluminum plate to fix to the existing plate is workable with a drill and the right machined piece of (say) aluminum. Fits the Givi PL/PLR side case holder spec. Monokey side cases all fit EXCEPT for the V35 series which require a PLX rack (which is attractive and tries to conform around the tail). Boxy/sturdy Trekker side cases all fit. Noticeably, there is a design revision between 2013-2014 racks and 2015+ racks. The tail mount is more robust, no longer using a pipe clamp to hang from the tail. The turn signal mounts are sturdier and well-integrated. Fits their "SU" holder spec, also offers some adapters for Givi PL/PLR mounting. Designed around the 2015 DS, judging from the photos and time of release. Primarily 1/2" diameter square and circular tubing. All the bolts are M8 bolts with 13mm hex heads which match the footpeg bracket bolt heads. The rack mounts to the seat bolts and peg supports instead of the smaller holes through the top rack which do not directly anchor to the frame. The rack includes a bracket anchored directly to the frame where the tail piece attaches, avoiding turn signal wiring extensions. Confirmed to fit a 2014 SR, although the clearance against the rear brake master cylinder is very tight and might be of concern. All Happy Trail products vouched for the Zero fit, lists saddlebags, tank bags, pannier bags, etc., very good adventure options listed. Has quick-release fasteners (that can be locked with an add-on) that allow the side rack to be mostly removed from the bike. Fits a number of vendors' cases using adapters: Givi/Kappa, Shad, Hepco & Becker, Krauser, and their own TraX and Aero cases. There appears to be some installation conflict with the OEM top rack. Both racks rely on lower brackets that attach to the inside of the rear footpeg mounting brackets. These mounts re-use the OEM bolts (13mm hex head M10 bolts) which are difficult to work on (clearance around the motor, suspension, cabling, and hydraulics is extremely tight). For the upper bolts, use a long extension (12" or so) that can swivel a bit to reach across the underside of the frame. Use a socket wrench to operate from there. 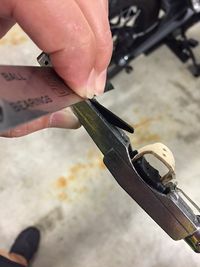 For the lower bolts, remove the lower side plastics and then use a low-overhead angled socket wrench from the front side of the frame vertical to reach the bolt and operate on it. Posi-Lock and Posi-Tap connectors for joining two wires easily without professional equipment or tapping into one wire with a second. Most horn upgrades will challenge the DC converter's power load, particularly while the ABS brake pump is running. See the common modifications section on horns for some discussions about how to wire an upgraded horn in. Check the the replacement procedure for fitment/replacement. H4 specifically for motorcycle tolerance fit, but 9003 generally will fit. Generally, these offer much greater light spread and brightness with the same power requirement as the OEM bulb (55W/60W). Whiter - Brighter & Safer Headlights For Your Zero - Mike Mas covers the broad issues with motorcycle headlight choices, recommends and reviews the zXe. Fanless; uses braided metal filaments for heat dissipation instead of a fan unit. Seems easier to fit behind the headlamp assembly while still keeping the lamp cool. Cree seems to generate some noise on the CAN bus, which can lead to start errors. Astra Depot 1x 2014 High Power 30W Xenon White H4 9003 HB2 XM-L2 CREE LED Hi/Lo Motorcycle Headlight Bulb (currently unavailable at Amazon) at 30W/60W. Tony Helms reports improved output, although that includes accessory lighting with custom brackets. 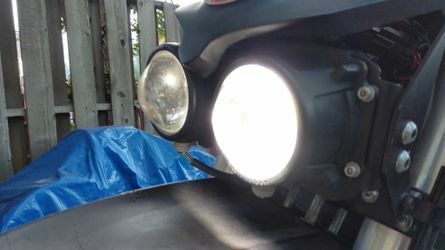 Patrick Truchon fitted a Cree LED headlight off of EBay. Fan-cooled, but practically silent even for the Zero. It's brighter than the stock bulb but has an unusual light pattern. These appear to be more CAN-bus-friendly. OPT7 at 20/40W. Choose the H4 (9003) Single. The cooling element does stick out a bit which might require some gymnastics with the rubber boot meant to protect the headlamp from moisture. If you need anything even slightly customized about the wiring, Eastern Beaver's various H4 kits cover many possibilities. Fits well and works well, just have to decide how to deal with the braid vs the rubber dust cups. Very affordable on Amazon. They are brighter than even a 50W halogen and white without being blue. Any W3W or W5W bulb easily swaps. The license plate bulbs have the same spec but LEDs don't work as well there. T10 W5W 168 194 7.5W High Power Car Signal Tail Turn COB LED Light Lamp Bulb 12V which matches the color temperature of LED headlamps. A number of LED and HID headlamp replacements are available that fit the Zero. The orientation and direction of the LEDs needs to match the stock headlamp's bulb to get as good a light pattern. Denali D2 fit confirmed at least with the Denali Fender Mount Kit For DM Driving Lights. Type PY10W, similar to 1156, but the side pins are offset by 150 degrees rather than 180.Also called BAU15S or R10W. The glass is amber (as the lenses are clear) and smaller, since the regular 1156 glass is too big. AF1 Racing references #AP8127489 as "amber turn signal bulb, staggered pins"
Clear 1156 incandescent bulbs, very standard. There are many LED options for replacement; the usual concern is to make sure the LED turn signal has a compensator for the flasher relay. The Zero stock flasher relay (like most stock relays) changes its frequency/period of flashing based on the resistive load on its circuit, so a compensator adds a resistor which negates the (tiny) efficiency savings. Better yet, replace the stock flasher with an electronic one. Look at the pins with the middle L (load) pin on top. The left pin should be B1+ (battery positive) and the right should be E1- (battery negative, maybe "emitter"?). Many relays are oriented with E-, L, then B+ which will reverse-bias the LED signals so won't light them up. Reversing the polarity of the wire-up can make it work. Many auto parts stores stock a variety of LED specific flashers that are a cheap and simple plug in replacement. LED turn signal flasher relay that doesn't need a resistor, with some instructions. WeiserTechnik offers LED turn signals with in-built resistive compensating loads that are known-fits for Zero's models. For the FX, WeiserTechnik made a howto video for installing their turn signals in German with English subtitles that illustrates how to get at everything. The stock tail/brake light assembly is an integrated unit with LEDs. However, a GearBrake unit is available that connects easily into the Zero lighting wiring harness and provides a flashing function or allows regen to trigger the brake light by orienting it so its accelerometer picks up on the deceleration correctly. The product page list Zero models up to 2015 model year and will likely be updated for 2016+ when the owner gets to it. It's very easy to instal under the seat behind the motor controller. VoloLights with a flashing setting and a riding mode for normal/sport/touring, as well as a license plate lighting replacement. GearBrake Smart Brake Light Module™ with flashing and non-flashing options. Brake Light Flasher Module without the accelerometer. Support Documents including FAQ and PDF installation instructions. As of late 2018, Zero now offers a touring seat for the 2013+ S/DS/SR/DSR models, priced at $350 USD. Corbin offers a gunfighter saddle for the 2013+ Zero S/DS/SR/DSR models, priced at $400 USD. 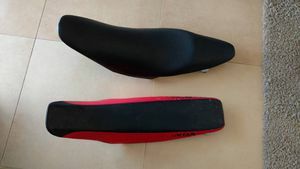 It offers easier standover height via narrow sculpting in front, and a firm supportive area in back for longer rides. The support in back works well for leaning into the wind comfortably and getting one's legs tucked closer to the frame out of the wind. Bagger.com seems offers Zero Motorcycles SR in their configurator. No reports yet. The X-Platform Seat apparently is an exact match for a Honda CRF 450 for at least the 2005-2007 year range. One owner reports success getting an SDG Custom Seat by SDG USA. The front fastener on the bike needs to be longer in the backward direction. A metal plate can be used to replace the original washer. 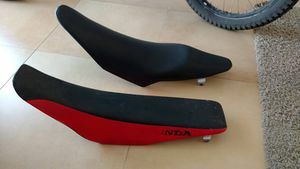 The two rubber bumpers under the CRF seat have to be removed. Two M8 nuts have to be welded on each CRF's seat's braket to be able to fit the original screws. Zero offers a 2013 rear brake upgrade kit to retrofit the more effective J Juan model on 2014 models. Zero offers a brake lever lock for a basic parking brake. This is a cheap solution but can strain the hydraulic system over time, and has been known to slip in hot weather. It appears to be a branded version of a part available through other sites at comparable prices. The Grip-Lock is similar, but features more as a simple security device and is a little more expensive. As of mid-2017, Zero offers an integrated parking brake for the rear brake system for 2014+ models. Dealers report that they can order it, but installations are not confirmed yet. The cable does represent a low-frequency maintenance task - cables on motorcycles should be periodically (yearly?) oiled and adjusted; the manual does have recommendations on this. J Juan lists a parking brake product which is likely the same thing since Zero's brake systems are sourced from them. This implies that the Zero parking brake is compatible with 2015+ models (and 2014 S-platform models) (although the part numbers vary probably per rear brake disc diameter). Fit against previous year models is unconfirmed, but physically the 2014+ models with the J Juan "240 x 4.5 mm disc" (and 2013 models that have received the rear brake upgrade) might work with it. Handlebars work if they fit the handlebar measurements through the middle, but require drilling to fit the switchgear anchoring. See the manual section. The Mirrors are fitted Ducati/Yamaha style. See the Mirrors manual entry for thread specifications if in doubt. See Common Modifications' Third-Party Mirrors entry for found fitments. 2012-2014 models are wired for a potentiometer throttle and can accept a Domino throttle to replace the stock Magura throttle. See the Advanced Modifications section for details. 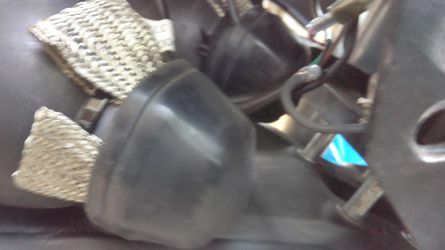 For complicated reasons, typical motorcycle throttle locks have a tricky adaptation to the Zero. See our Common Modifications section on throttle locks for a comparison. Atlas officially supports all Zero models with their throttle lock that sits on the inside of the throttle grip. They recommend only the Top Kit for the S and SR models because the handlebars get close to the tank plastics at full rotation. DS/DSR/FX/FXS models seem to be able to accommodate both the Top Kit and the Bottom Kit; check the page for how to decide between them. NOTE: The original version (before top and bottom mounts were distinguished) was thinner and easier to fit. Some have reported using a fine amount of milling to fit the Magura throttle on 2013-2014 models, and even for later model years. 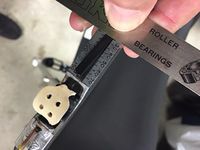 Kaoko does not offer an official fitment for Zero motorcycles, but the inner bar diameter is 14mm and at least one model has been confirmed to work. Zero brake lever fit is generally unconfirmed, but the fit changes with the front brake systems, so 2013-2014 models have a different fit than 2015-2016 models. The lever fit for a 1990-1999 Suzuki DR350SE is confirmed against a 2014 FX per this facebook comment thread. One strategy is to replace the assembly around the handbrake. Searching for 7/8" master cylinder kit can yield some options (reported for a 2011 model). The TacticalMindz Basic kit works to replace foot-actuated rear brake with hand-actuated and has been confirmed to work on 2014 SR.
Their Pro kit has a T connection, the foot and hand brake both activate the rear brake. However, left hand does not activate taillight in this configuration without additional trigger. "Converts from original gearing of 132/28 (95 mph, 321 ft-lbs) to 98/25 (107 mph, 267 ft-lbs). Kit consists of a 98T wheel sprocket, 25T motor sprocket and 200T belt." There was a higher torque option but it's apparently discontinued. Zero offers some chain kit options that include front and rear sprockets and a 520 DID X-ring chain. Enhanced Chain Kit for FX/FXS models across all 2013+ years. For 2017 models, a chain conversion kit is referenced as part 10-08127 (unconfirmed). This replaces the belt with a chain. 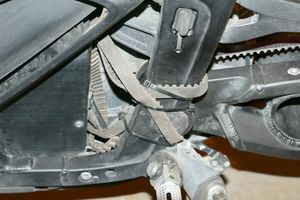 This installs a chain guide on the underside of the swingarm. 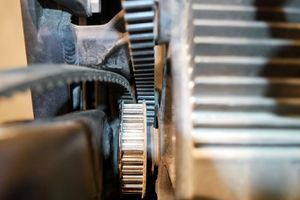 This replaces the pulley sprockets with toothed sprockets. 27mm socket for the rear axle nut. Ensure at least 1" depth and a ⅜" drive sufficient to handle swingarm pivot bolt torques. 15mm socket wrench (S models). 13mm socket wrench (X models). Torque wrench capable of setting 75ft-lbs and driving the 27mm socket and 10mm Allen key. (2013-2017?) 6mm Allen key and wrench to remove the rear sprocket pulley from the rear wheel. (2018?) T45 Torx bit and wrench to remove the rear sprocket pulley from the rear wheel. For any chain fitment, wait until running the chain over the sprockets (and probably through the guide) before unlinking the chain and fitting a master link for its final length. Any mistakes in length estimation require more chain tool use which is just adding risk. A generic lower-rated rubber belt has been made in a production batch for Zero owners to match the 11mm pre-2017 Zero belt. Forum thread: Emergency belt kit! 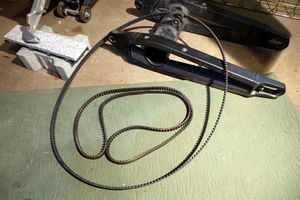 This requires removing and replacing the stock belt, in any case, but the idea is to avoid a roadside repair. Mount/coil the Emergency belt around the motor. Fasten the Emergency belt securely so it's available while riding without removing the front sprocket on the road. Unfasten and uncoil this emergency belt. Loop the emergency belt around the front and rear sprockets. 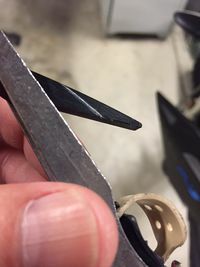 Ride carefully at low torques and speeds to home or your dealer for a real belt replacement. Zero offers a Fox rear shock upgrade for the 2013-2014 Zero FX models. Report your suspension upgrades here. Many recommend a professional suspension tuning job, reporting it accomplishes a lot with the stock suspension, and should be attempted before investigating replacement options. At the very least, learning to tune your suspension yourself will make the bike more suitable for your local road conditions and loading. The rear shock preload is easily adjustable and worth dialing up or down switching to or from 2-up riding or carrying a luggage load. 2015+ models seem to be supported now, and soon older (2013-2014) models. They're certainly able to answer customization questions. An Ikon Shocks representative indicates they've made a Zero-appropriate rear shock for a 2016 FXS that can be ordered. It should be appropriate for 2015 year model onwards, but ask in any case if interested. Confirmed working on a 2014 Zero SR.
via Facebook report: "It's bigger, but don't have the same adjustment capabilities. I needed to install it upside down and grind ~1mm of the width down to get it to sit in there comfortably." Mizu (german) offers a lowering kit for 2015+ Zero DS and DSR range. Fitment not confirmed yet by an owner. GP Suspension Fork Cartridge Kit for track-oriented riding. Wilbers Forkspring Kit for 2013+ S/SR models. Zeros are not yet widely attractive targets for theft because of limited numbers and specialized parts, but local circumstances can make it a risk. Wire in an always-on power supply by tapping the always-on DC-DC converter's input, and use a switching power supply to convert the battery DC voltage there to 12V or 5V to power a location-tracking device or alarm. Perfect Alarm Disc Lock for Zero bikes recommends an Urban UR-10 lock with an Artago 30X Alarm Disc Lock Support Kit which can mounts the lock while riding behind the rider's left leg, after a little sanding to fit the Zero frame. Dowco Guardian Hi-Viz in size Large for a 2016 DSR with OEM top and side cases. Size medium should fit Zero bikes without cases or an FX/FXS. 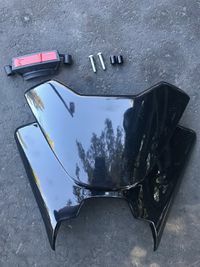 Anyone know the best size cover to get with saddle bags and top box? RAM mount has a full catalog of options and ways of figuring out a mount structure. RAM handlebar base with U-bolt (fits 0.5-1.12" bar). Double-socket arm for 1" ball mount. Incredibell for low-speed interactions with cyclists and pedestrians, because the Zero makes no noise and the horn would be too alarming. OEM recommended belt tension meter GATES KRIKIT I V-BELT TENSION GAUGE is listed on Amazon retailer as a Gates 91107 Belt Tension Tester ($12 usd). Place a straight edge perpendicular to the scale at 25kg, which is middle of the range. Push needle up until it touches straight edge. Carefully scribe a line on the side of the needle. Wipe some white paint into the line you scribed. Now it is easier to see when you have achieved the correct tension when the line is parallel to the scale. DigiNow's plug-in product for bridging the OBD-II console interface to the MBB over Bluetooth. Product page at Hollywood Electrics. This dongle attaches to the OBD-II port (above the motor for pre-2015 model years, and under the seat for 2016) and offers a bluetooth serial port profile interface that connects to the Main Bike Board. NOTE: Connect it directly to the port and not via an extension cable, since it derives power from the very delicate 3.3V MBB circuit to drive its antenna, which any cable seems to attenuate too much. 2017+ models do NOT support a Bluetooth dongle because the minor power supply on pin 12 was unwired for that year onwards. A USB connection should work. It currently uses Bluetooth's Serial Port Profile instead of Bluetooth Low Energy (which can handle serial in a custom service) but does mean that iOS can't interact with the current shipping version. Some success decoding CANBUS signals from the OBD-II is reported. ECMCables.com has a history making diagnostics Cables and Wireless Dongles for Buell & Harley-Davidson Motorcycles and has successfully launched and is currently marketing functionally similar products for Zero. All products are made in North America and sold exclusively by ECMCables.com and or it's authorized Agents. Warning: This content was authored by the vendor themselves and as such constitutes a commercial self-promotion under review. ECMCables's plug-in product for bridging the OBD-II console interface (exposed port) over a USB cable to connected computing devices such as PCs, Labtops, Notebooks, Tablets, SmartPhones and a variety of other commercially available or proprietary hand held devices. NEW ZERO Motorcycle MBB-ECU Spy/Diagnostic USB Cable. 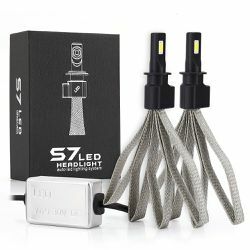 Fully Waterproof OBD-II Connector end w/ Higly Visible LEDs at USB end; indicates Power On & Serial Bridge Active. Our OBDLink MBB Spy/Diagnostics USB Cable is designed to connect ZERO Motorcycles to a PC or other Smart Device for Diagnostic purposes. Our design implements a "Shielded Cable" solution to combat both EMI and extraneous power surge interference that affect unshielded cable conductors in high-noise (electrical interference) MBB/ECU Diagnostic and Tuning environments. Combining this Shielded ECM cable with freely available Serial Terminal Software provides a higher degree of accuracy when optimizing ZERO Motorcycles. OBDLINK USB Cable cable attaches to the OBD-II port and offers a serial port interface with the Main Bike Board. Serial Terminal Software is freely available on the internet, and or sold separately. No Software is included with this product. Refer to zeromanual.com website for more details. This version is compatible with Microsoft Windows XP/Vista/Win7/8/8.1/10, Android devices, iOS, MAC, and Linux OS's with supporing free driver/app installed. ECMCables's plug-in product for wirelessly bridging the OBD-II console interface (exposed port) over Bluetooth to (paired) connected computing devices such as PCs, Labtops, Notebooks, Tablets, SmartPhones and a variety of other commercially available or proprietary hand held devices (for all 2013-2016 Zero Models). OBDDROID Bluetooth Dongle attaches to the OBD-II port and offers a wireless serial port interface with the Main Bike Board. This allows data logging of a variety of parameters tracking voltage, current, and regen for trips. See this Cycle Analyst install howto. This page was last modified on 16 April 2019, at 23:06.